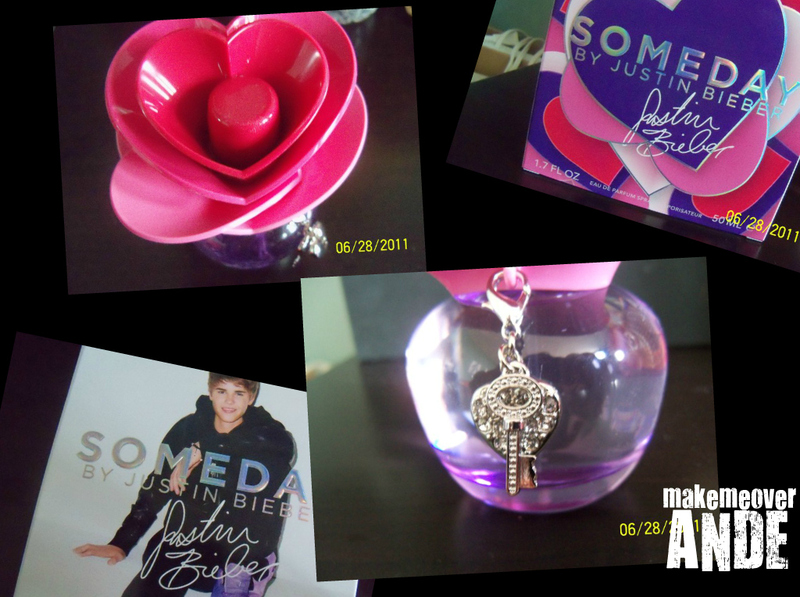 SOMEDAY by Justin Bieber is out and like a good mom I purchased a bottle for my daughter. To my surprise the fragrance is very very nice. very mature scent. Eau de parfum spray. The bottle is beautiful (reminds me of Lola from Marc Jacob) The flower is a bouquet of hearts with a silver rhinestone heart and key charm. The scent is fruity with a hint of sweetness. Its a light scent which is great for everyday. 30ml $42, 50ml $52 at Shoppers Drug Mart.